Spray grate of outdoor grill with grilling spray. 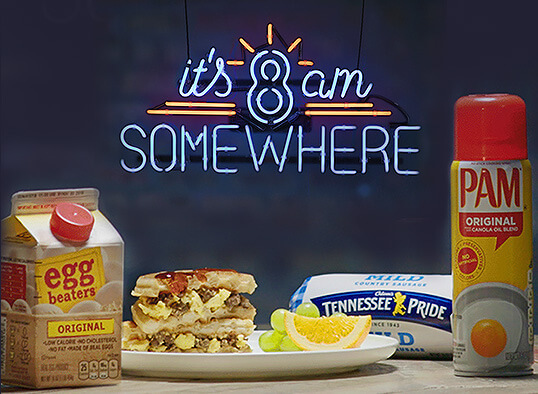 Preheat grill to medium-high heat according to manufacturer's directions. Meanwhile, stir together peaches, drained tomatoes, onion, bell pepper, cilantro, lime juice and 1/4 teaspoon of salt in a medium bowl; set aside. Season pork chops with remaining salt. Grill 8 to 10 minutes, turning once, until cooked through (145°). Remove and allow to rest for 5 minutes. 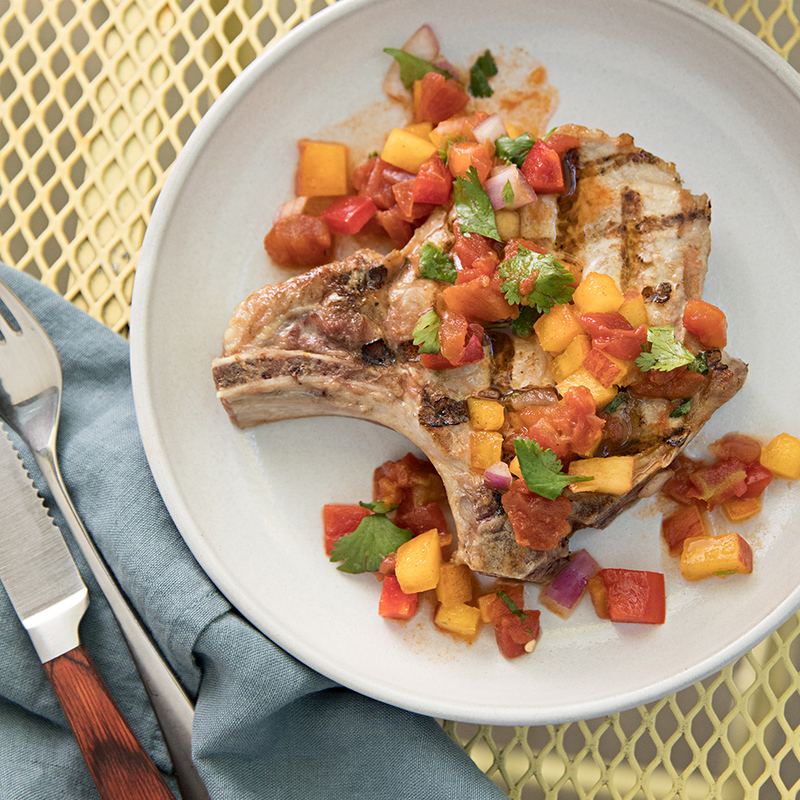 Top pork with peach salsa; serve. If you're using fresh peaches, try grilling them! Halve each peach, remove the pits, and place the halves cut-side down on your preheated outdoor grill. Once the peaches are grilled to your liking, remove from the grill, chop, and continue making your salsa.